In Huerfano County, Colorado. Rivers, streams and reservoirs are also low. Some living in rural areas fear it will not be long before they have no near-by access to water. There are homes in the area without hook-ups to city water infrastructure. The solution is tanks on trucks and trailers. People pull up, punch in a code and fill tanks with hundreds of gallons of water. In the town of Walsenburg city leaders are cracking down on who can get water from the town water haul station. Kancilia is not happy with fees raised last year and the tighter restrictions. “They give the marijuana people all the water they want, but people that have houses and kids and going to school they want to cut them off if they’re more than ten miles out of town.” City leaders say they are abiding by rules dictated by the city’s water rights. Water is for people within the town’s zip code or who live within10 miles of the city’s boundary. 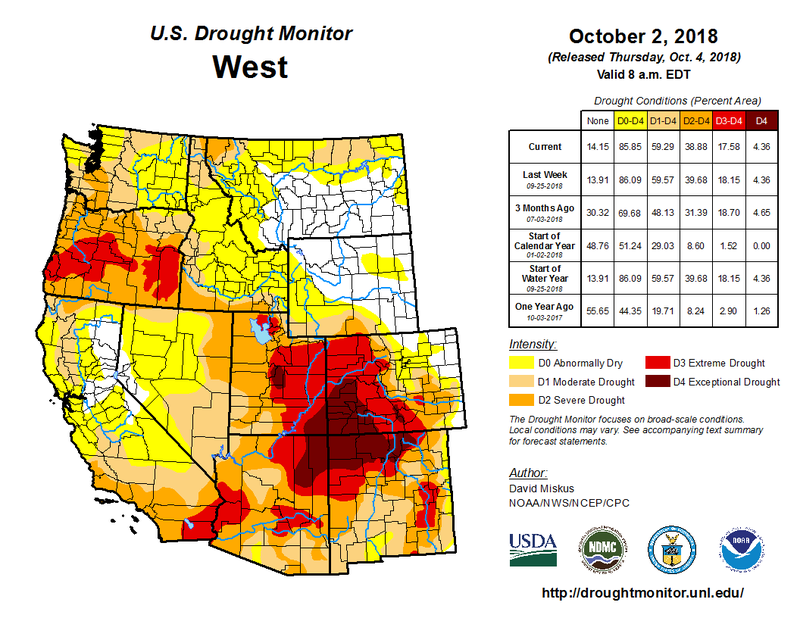 Enforcement of water rules is likely part of growing drought concerns. Reservoirs supplying water to Walsenburg are low. It is the same for reservoirs holding water for the town of La Veta. The mayor of La Veta, Doug Brgoch is also the Colorado Water Commissioner for the region. “What we’ve got to really realize here is that this area of Colorado hasn’t received a significant amount of moisture, wide spread moisture since May of last year, 2017.” It is pushing 18 months of little to no snow or rain. Brgoch has 30 years experience in this region and says there’s no doubt it is why wells are going dry. “It’s a bad, bad situation.” Many make the mistake of thinking their well water comes from an aquifer. He says there is not an aquifer for most of Huerfano County. Instead underground water is from rivulets. They are the underground equivalent of a stream. They are hard to tap and so narrow they are rarely shared with other wells. “It’s water that’s generated in mountains, gathered at higher elevations that are seeping into the ground, traveling rather rapidly through the ground,” said Brgoch. The Cucharas River through La Veta is running at just two cubic feet a second. More than low, it is nearly dry. Reservoir storage is best at two to three years of available water. In La Veta it is at one year. “Those numbers are probably at an all time low. They’re as low as I’ve ever seen them in the last 30 years,” said Brgoch. The town of La Veta is on restrictions. Walsenburg is getting tougher about rules. Town leaders have an obligation within their borders to make sure there is water for homes, business, fire protection and sewer systems. “There’s going to come a time when they’re just going to have to say to all external customers that we can no longer service you until times get better,” said Brgoch. It means people in unincorporated parts of the county will have few options for water. It is a tough situation. Local resident, Larry Bailey knows what caused the problem and he knows the solution. He closely monitors snow and rainfall. “I got 22 inches of snow. I keep track of it and usually we’ll get 100 inches. I’m hoping we’ll get 150 inches.” Brgoch agrees, “We need a winter, we need a wet winter.” It is a resolution no one can predict or control.